Turns out that tech fans like buying things online! December 5, 2002: Apple says it served its millionth unique customer in the Apple Store online, marking a significant milestone for the company. However, it is fair to say that — like a lot of companies established pre-internet — Apple was fumbling around looking for a way to tack the World Wide Web onto its existing business. And Cupertino was coming up blank. Things changed rapidly when Jobs returned. 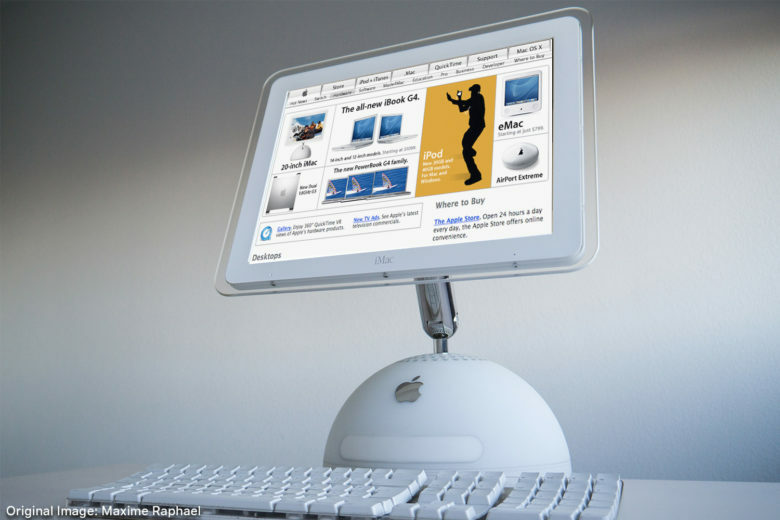 First came the iMac G3, a computer explicitly advertised as a machine for getting families and individuals onto the internet for the first time. Apple followed that with the similarly styled iBook, a colorful clamshell laptop that helped usher in the Wi-Fi revolution with its cable-free AirPort networking card. However, Apple still lagged when it came to using the internet as anything other than a news page. Jobs wanted to rectify that. While running NeXT, he oversaw the development of a web application technology called WebObjects. When Apple acquired NeXT, Cupertino used this technology to build an online store to sell Macs. Apple — like the rest of the computing world — witnessed Dell’s success using this strategy in the 1990s. Michael Dell famously dissed Apple, saying that if he was running the company, he would shut it down and return the money to shareholders. The move made total sense for Apple. As physical Apple retail stores showed, the company long had been disappointed by the way third-party retailers presented its goods. Apple wanted total control to showcase its its products properly. An online retail store proved perfect for that. When the online Apple Store launched in November 1997, it racked up more than $12 million during its first month. Jump forward to 2002, and the 1 millionth unique Apple Store customer showed Apple’s strategy succeeded in a major way.